The 2014 James Beard Foundation Restaurant and Chef Award semifinalists have been announced, and ten of them are from the Atlanta area (eleven counting Athens). This award goes to outstanding chefs and restaurants across the country annually, and is one of the highest recognitions in the food industry. 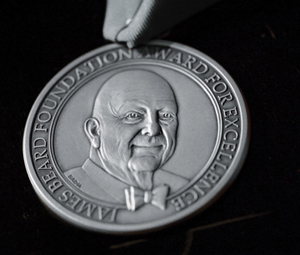 Winners will be selected at the 2014 James Beard Awards in New York City on May 2nd and 5th. In 2012, Hugh Acheson (Five & Ten) and Linton Hopkins (Restaurant Eugene) tied for Best Chef in the Southeast, and Atlanta had two nominations overall in 2013.